Aldi Whisky – Glen Orrin Pure Malt Blended Scotch Whisky, 40% Alc/vol aged in oak. 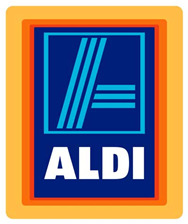 Distilled, Blended and Bottled in Scotland for ALDI stores. This time Jim thought it would be a good idea to visit ALDI and check out their own brand Whiskies. They had on show two blends, one aged 8 years and they also had a Pure Malt priced at only £10.99 and this was the one that was chosen for tonights tasting. Glen Orrin Pure Malt Blended Scotch Whisky, 40% Alc/vol aged in oak, Distilled, Blended and Bottled in Scotland for ALDI stores. Nose…Slight perfumeand citrus notes, not too harsh. Taste…Easy drinking with a little tingle, fruit boilings, but dry vanilla coming in, but not too complex. Finish…Short to medium finish leaving you with a dry oakiness. Taste…Heavy alcohol taste, nothing added ( maybe too pure ) nothing to enhance the flavour like sherry etc. but still enjoyable. Finish…Short finish, leaving an oakiness aftertaste. That was okay, not a bad wee vatted malt for the price and would go down well at a bar-b-q when someone is loking for a long drink, adding ice and soda would make it a refreshing dram. This bottle at that price would make a few people buy this one rather than paying the same for an ordinery blend. Do not let the ALDI label put you off this is not a bad wee Whisky. Why does Glen Orrin (Aldi) not show the number of years it has been matured for, on the bottle label. This is not usual. It surprises me. It should do!! Hi Alan hope this finds you well. When a distillery or bottler does not show an age on the bottle is is for sure that some of the whiskies in that bottle are only 3/4 years old. If for example Lagavulin 16 year Old, the 16 means that the youngest Whisky in that bottle is 16 years old, but there could be some Whiskies that are considrably older. So the Distiller or bottler when the show an age it must be of the youngest Whisky in the bottle. Hope that helps a little, hope you enjoy looking through our site. just chatting, but i live in Dumbarton home of Ballantine’s Whisky, it’s Chivas Regal now, but back in the day my grandfather worked in there, he told he tried 50yo malts then smacked his lips haha, i tried one myself one time, the ‘burn’ was different it waited almost a second to kick in. I wanted to try other countries take on Whisky, the first one was an irish whisky Jamesons, i really liked it and would buy it again, I tried CC a couple of months ago, didn’t like it, but maybe i got a bad bottle, tasted like pure alcohol, well,.. like you smell in hospitals. watered it down with coke, still tasted like hospitals haha. i like Jack Daniels Bourbon, but it is very expensive for my £20 budget. are there any New Zealand whiskies? or any better Canadian ones? I heard there are Japanese whiskies these days too. Hi David, hope this finds you well. 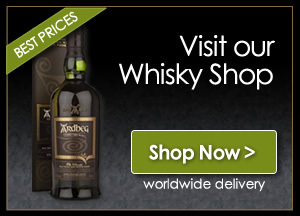 Irish Whiskey, search out for a Kilbeggan or a Tyrconnel are grand wee drams. New Zealand has a malt called Milford, you should be able to obtain one on line, the only shop I have come across this was the Green Welly in Tyndrum on the road to Fort William. Japanese, have some great Whisky especially from Suntory and their Yamazaki is available in Asda. With a budget of less than £20 your choice is quite limited. In most supermarkets you could find and unaged Glen Moray for less than £17. One of our favourite supermarkets Sainsbury’s are selling their own brand 12 Year old Islay and Speyside’s for a special price of less than £16, realy good drams. Keep checking your supermarkets specials on malts are on quite often and you can really get a good bargain. Also check out best Whisky price section. This is a refreshingly cheeky little blend that’s not to harsh on the tongue, in my opinion, mine goes with a wee drop of water as does all my whiskeys to taste. It is a shame its tied to one retailer though. certainly one for the cabinet. Would bring it out any time. Have you tried aldi Glen Orrin 30yo. I have 2 bottles (1 for collection and 1 for drinking). i will be visiting family down south later in the year, so wil try it then. Any comments appreciated. Jim, I have been drinking malt whisky for nearly 70 years. I have yet to find one to surpass the 30 yo Teananich consumed in the Kingsknowes in Galashiels over a period of ten years. I once played host there to Jack House who claimed to be able to identify by taste any brand and year of malt whisky (up to 4 drams, after which the tastes blended). I would agree with your general opinion of the Glen Orrin, but sadly not with your overall assessment. I honestly feel that you have allowed yourself to be influenced by its age (a common weakness at this time) and its Aldi label. It is one of the strangest oddities of the culture: the parent malts, while not exactly rubbish are not in the list of my 100 best, but expertly combined they make a surprisingly pleasant drink. There is a 30 yo Glen Orrin that is overpriced at £50 by comparison and would warrant your assessment. I drink my malts straight, but accompanied by a sip of water from a separate glass, and, as I have said, have done this for nigh on 70 years. I drink vatted malts on two nights and (usually) a 12, 15 or 18 yo Glenlivet on three weekend nights. It is fully understood that whisky tasting is a highly individual and subjective affair very often befuddled by a mist of snobbery and false sentimentality. I drink malt because it gives me a great deal of satisfaction, and if I do not like a whisky I simply refuse to drink it (except when I am waylaid by evil thugs and the amber fluid is forcibly poured down my throat). But of all the vatted malts in my experience (like Blairmhor, Glencoe, Poit Dhubh) I find the 5 yo Glen Orrin quite exceptional value for money and really quite pleasantly refreshing. I do not expect you to make any kind of reassessment on the strength of these comments. Many thanks for the trouble you take to keep your site active. In general I am a Speyside lover and take it with a little water. I have to say, I fiind the 8 yo Geln Orrin perfectly quaffable and find it very Speyside-like. My Father-in-Law has been a whisky drinker for decades and he has now switched almost exclusively to Geln Orrin, prices being what they are on a pensioner’s income. It is nice to know we are not alone. that is the best drop of the water of life I have had in many a year and from someone who lived in Islay. Just picked up a bottle of Glen Orrin from Aldi, which states 5 years old on the label. First dram and it is excellent, not complex, but for the age and money not at all harsh. For £12.99, the price of a discounted branded blend, it is worth a punt. I’d heard the hype about Aldi’s festive gestures. So there I was on Sunday morning as I rolled up to Aldi Kingsbury at 9.55am. To my horror there were already 30+ people waiting in a disorderly queue at the door. Surlely all those people couldn’t be after the 6 bottles of Glen Orrin that Aldi were stocking? I had phoned up Aldi a few days earlier to find out about the supply (which was surely going to outweigh the demand). At 10.00am on the dot, the doors opened and there was a semi-scramble. The search was on for the whisky. I finally found the whisky section, but was then directed to another area of the shop where the offers were. Another gentleman was also in search of the 30-year old whisky. This didn’t look promising. I now had a competitor, and we made polite conversation as the search continued. I found out that he only wanted two bottles. At last the ONE box of six bottles was brought to us at the checkout, and in fact there were only 5 bottles. My new whisky friend took two and I took the remaining three. On closer inspection, this Glen Orrin was a Blended Scotch Whisky, no mention of single malt, but a big ‘three zero’. So I had gone to all this trouble, and was not going to leave the store without making the purchase. I also could not resist 2 bottles of Glen Marnoch @ £18.00 each (actually the last two bottles this Aldi branch had in stock), just to fill up my box. Just to note, the other shoppers seemed more interested in cheap medication! As I left the shop (kind of regeretting I had not picked up a couple of bottles of Glen Orrin 5 yr old @ £13), I overheard someone asking about the whisky and he was told that it had sold out. All that’s left to do is to taste the stuff, or keep in order to hopefully appreciate in value. Forget bullion, silver, platinum, art pieces by Banksy, shares in Royal Mail, … whisky is now a serious investment (well, that’s what I told my wife anyway!). I am drinking Glen Orrin now and I find it very acceptable and good value.